Coffee Plant Seeds ★ TANZANIAN PEABERRY Grow your own coffee beans at home! This shrubby house plant grows to 5 feet high when grown indoors. Its branches are lined with small, white flowers. 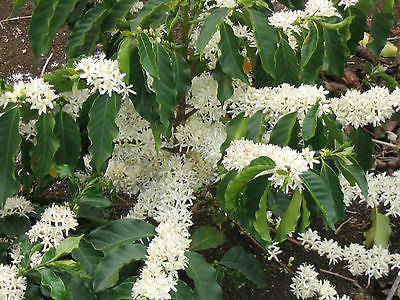 The flowers are sweetly fragrant and are held against glossy, deep-green leaves. Green berries follow the flowers and ripen to bright red.